Why aren’t all pallets equal? 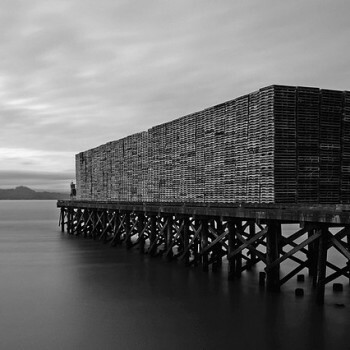 A pallet is one of the most important components in the global shipping industry. They enable goods to be moved quickly and easily across the globe. Not every pallet is the same and they can be made out of a variety of materials, including wood, metal and plastic. Each of them has their advantages and disadvantages and some are more suited to particular applications than others. Which type of pallet you choose for you business will largely depend on the goods you require transporting. If they’re especially bulky or heavy, you might be restricted in your choice. You also need to factor in the costs of repairing or replacing the pallet, as one might seem a cheaper option until you want to use them again and again. The first pallets were constructed from wood and they’re still manufactured today. They’re a cheaper option than other materials and provide a strong support for a range of different types of products. Wooden pallets are in some ways a more environmentally friendly option, as they can be repaired if required or recycled when no longer needed. They can also be produced from recycled materials, limiting the amount of wood reserves that are used. Once it arrives in the warehouse, a wooden pallet is much more efficient for placing into racks than some other pallet types. However, even with the advantages of wood, there are still some disadvantages to consider. They’re difficult to clean effectively and are prone to developing mould and bacteria. Due to issues with tree pests, wooden models are subject to strict restrictions and must be purchased from registered companies to ensure they comply. There are also safety hazards from splinters or nails sticking out and they can be affected by warping, especially if they’re left out in the rain. One of the main advantages of plastic is that it’s extremely lightweight, but at the same time strong enough to withstand heavier loads. They’re not affected by the weather and won’t rust or rot. There are also no specific regulations, as there are with wood, so there’ll be no issues with goods being imported and exported. A plastic pallet is easy to keep clean and is resistant to chemicals. There are none of the safety hazards associated with wood. Factoring in replacement costs is essential when buying pallets. Plastic versions are long lasting, but are hard to repair, so will need replacing if they break or snap. They also cost more than wood to purchase initially, but can be recycled at the end of their life. If the pallet is specifically needed to be stored on a rack, then plastic ones are not the best choice. This type is more expensive than wooden and plastic ones, but makes up for this by being both durable and strong. They’re also repairable, benefiting both the finances of the business and the environment. A metal pallet is the most hygienic form and, as such, is a great option for food and medicine-based businesses. They don’t have the problems faced by wood, as they’re water-resistant and won’t rot. Users don’t have to worry about getting splinters and there are no regulations relating to insects and pests. They’re particularly beneficial for heavy or bulky products, as they can take the additional weight. However, the weight of the individual pallet does make it more expensive to transport goods. It’s important to choose the right type of pallet for your particular needs. By not evaluating your specific requirements, you could end up spending more than you need or buying a pallet that can’t carry the weight.